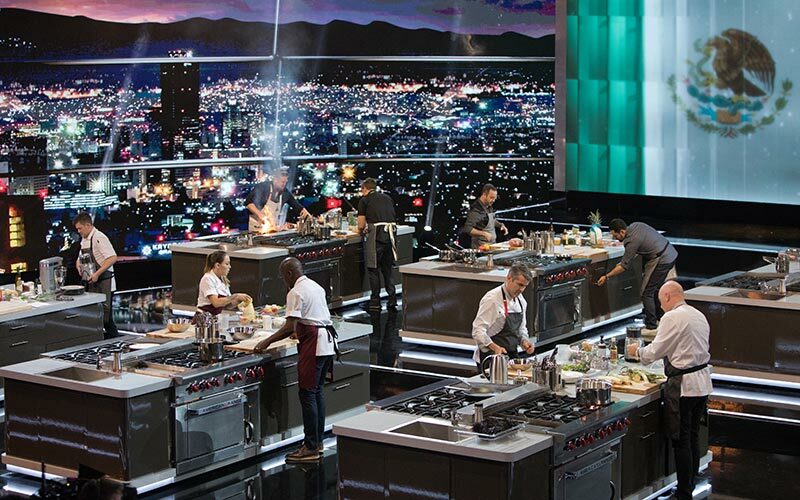 Take MasterChef and a splash of Iron Chef and add them into a pressure cooker with the annoying set of ABC’s The Taste plus American Idol‘s lighting design, and then forget to seal the pressure cooker and keep it far away from any heat source, and the resulting wet mash is Netflix’s The Final Table. This brand-new culinary competition takes place in a soundstage on a spaceship that hovers above earth: sometimes over cities at twilight, and sometimes over the entire planet. At least, that’s what the giant wrap-around LED backdrop makes it look like. If you ever watched MasterChef and wished it had fewer commercials, no Gordon Ramsay, and an exponential increase of both self-importance and drawn-out, dramatic pauses, then The Final Table is delivering your dreams. It has helped me to appreciate just how much MasterChef leans on Gordon Ramsay’s personality and perpetual exasperation to carry us through the tedium that the Fox competition has become. While a cooking show doesn’t have to innovate to entertain—Food Network is demonstrating that every week—I do expect Netflix to elevate the genre. They’ve taken food TV to new places in the past, and even if they aren’t dumping tons of money into a show, at least they lack typical network TV constraints (commercials, product integration, pandering to audiences who might not get something so it has to be repeated twice and accompanied by a cymbal crash). 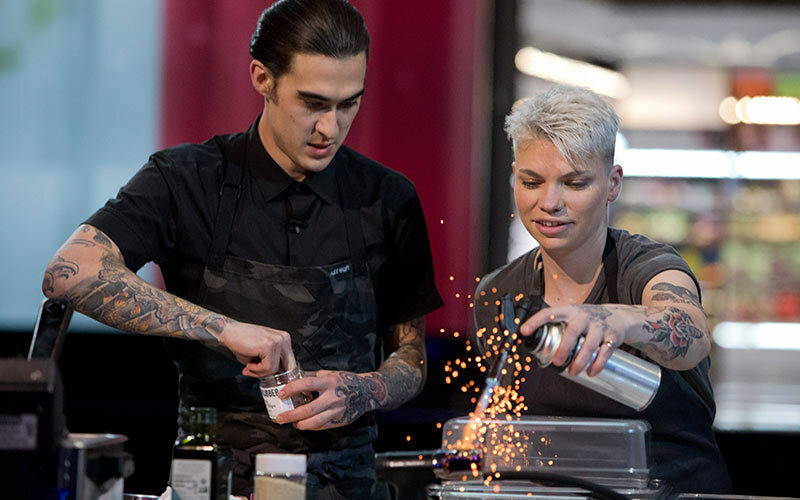 I didn’t realize until after watching the first episode that its executive producers, Robin Ashbrook and Yasmin Shackleton, both come from MasterChef, so it makes perfect sense that the two are so tonally similar, yet it’s also baffling just how similar they are. Why make a network show for Netflix? Why not break all the rules, as Nailed It! did so brilliantly? There’s potential in this format, which has cast outstanding chefs from around the world as both judges and competitors. And it sometimes asks the chefs to cook outside of their cuisine of expertise. Yet it’s hard to shake how much this casting and format comes across as a transparent Netflix mandate: Make the show interesting to watch in other countries so more people will subscribe. That feeling is not helped by the platitudes the judges and contestants force out. Their sentiments may be real, but they lack feeling. Between this and Ultimate Beastmaster, Netflix seems to be forging a path of remaking popular network reality TV competitions by adding more internationally diverse casts and also draining them of their life. The three teams with the worst dishes cook off and are judged by that country’s Final Table representative, and one team goes home. And. All. Of. That. Takes. Forever. The chefs are competing for “a prize that money can’t buy,” “a seat at The Final Table,” as the host says. That apparently means “no actual prize” because The Final Table itself is supposed to be some kind of honor, even though it was made up for this show. Perhaps it’s like being an Iron Chef, except all of the people sitting at it didn’t make it through a culinary competition. Also “Final Table” is so, well, final. It sounds morbid. Bon Appétit editor-at-large Andrew Knowlton hosts, and by that I mean he haltingly reads from a prompter with all the finesse of an SNL guest host. Across the show, the talent is high, but the drama is low. So is the production design: It feels like a flimsy Iron Chef America, and it’s colder than a typical Food Network studio competition. The slow-motion shots of food fails to live up to the high standard that other Netflix shows, like Chef’s Table or Salt, Fat, Acid, Heat have delivered. And bio packages mostly use photos and b-roll, not anything that feels like documentary footage shot on location. Why not just fly the soundstage spaceship over and get some aerial shots, at least? You paid all that money for a spaceship, after all. 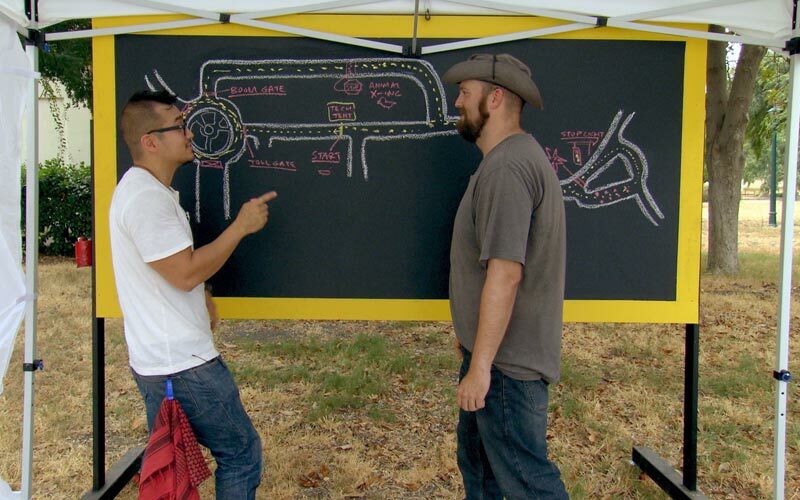 Tasting tacos in the first episode, the judges make gross crunching noises that seem like foley artists running over thousands of bags of potato chips with a steamroller. The next tacos they taste have apparently been delivered from A Quiet Place, because they have no sound at all. gorgeous overhead tracking shots that glide across stations, and sometimes—in the episodes’ most entrancing moments—track at the same speed as a chef’s action, like a knife slicing through a fish. I will watch these shots for days. chefs are paired with another chef they know, but who’s from a different culinary tradition and/or country. That means they have to rely on each other’s strength and knowledge while cooking together. Yet I won’t keep watching The Final Table just for that. It’s too much for too little. 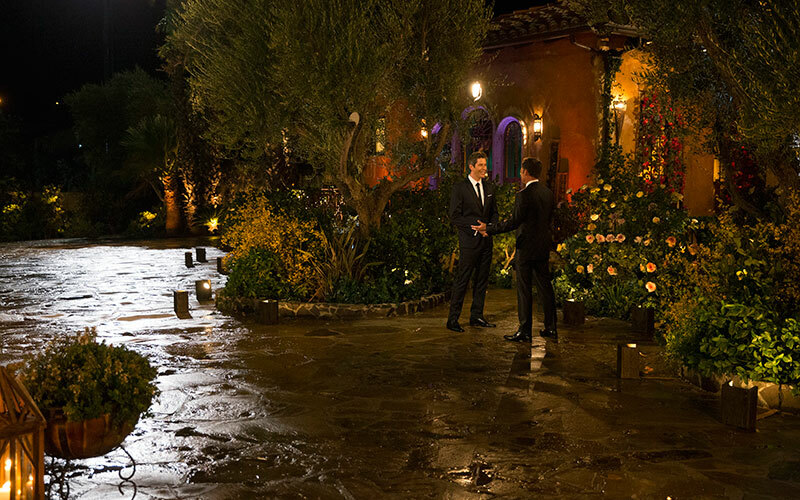 Every episode except the finale is more than 50 minutes long, and the first few are close to one hour, which is far too much time for episodes that have just two challenges and ignore many of the 24 competitors. This is an intentional model for Netflix, which wants us to spend more time watching Netflix. Why produce seven episodes when you can drag those out and make 10? I just wish someone had asked: Why make The Final Table at all?